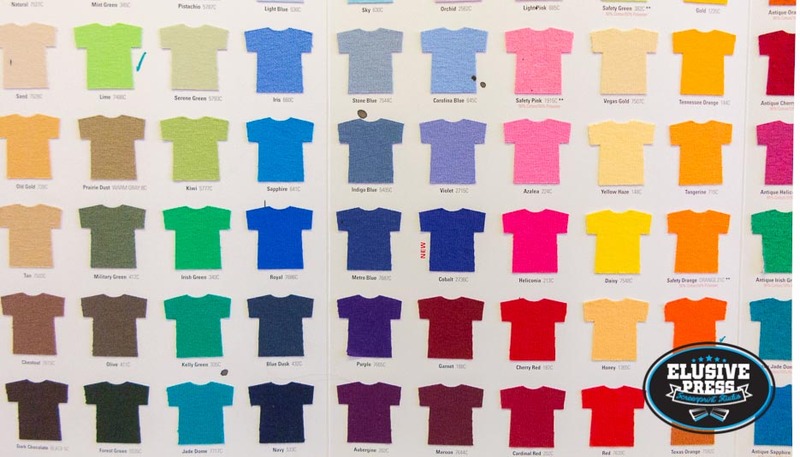 As there are so many variables with pricing screen printing orders, we have only included a price structure for 1 and 2 colour t-shirt prints, these prices are inclusive of the screen set up charge. 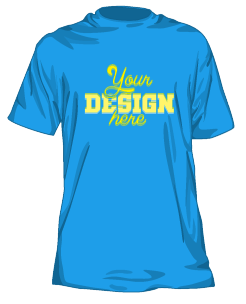 Should you require a customised quote please email us direct on info@elusivepress.co.uk or fill in the order form on the contact page stating: quantity of order, number of colours in the design and garment choice. 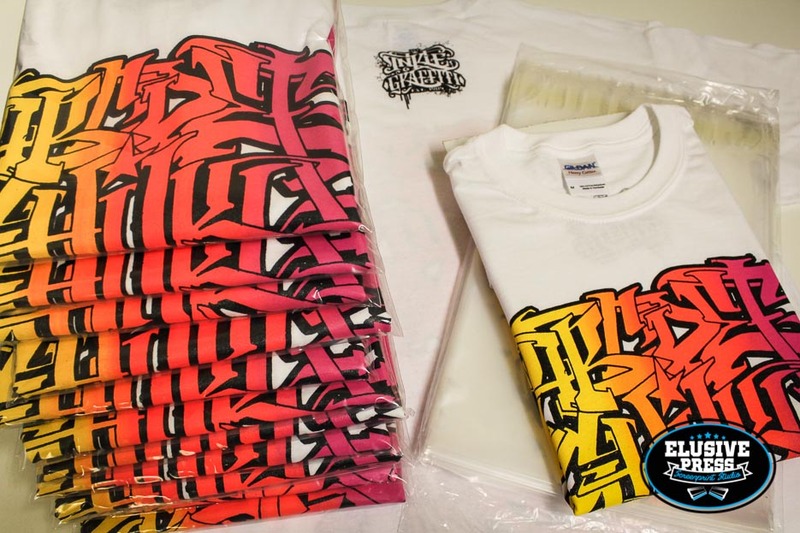 T Shirt: All prices displayed are based on printing using the very popular Gildan Heavy Weight t-shirts which are colour fast and wash well. For available colours please look at the colour swatch on the home page. 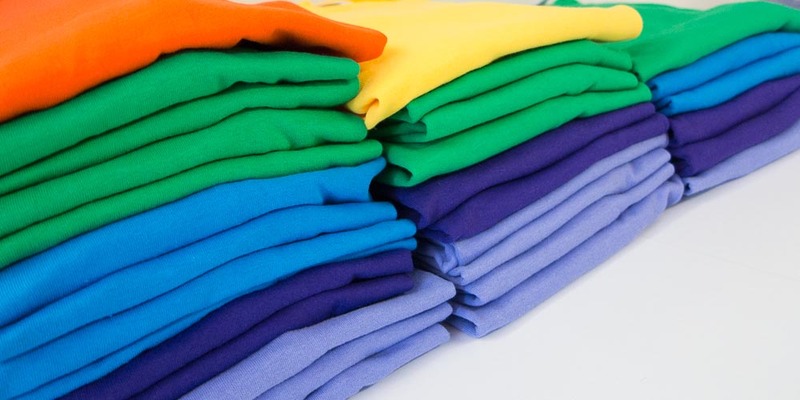 T Shirt Colours: We are able to print your design on a variety of different colour t-shirts if you require. 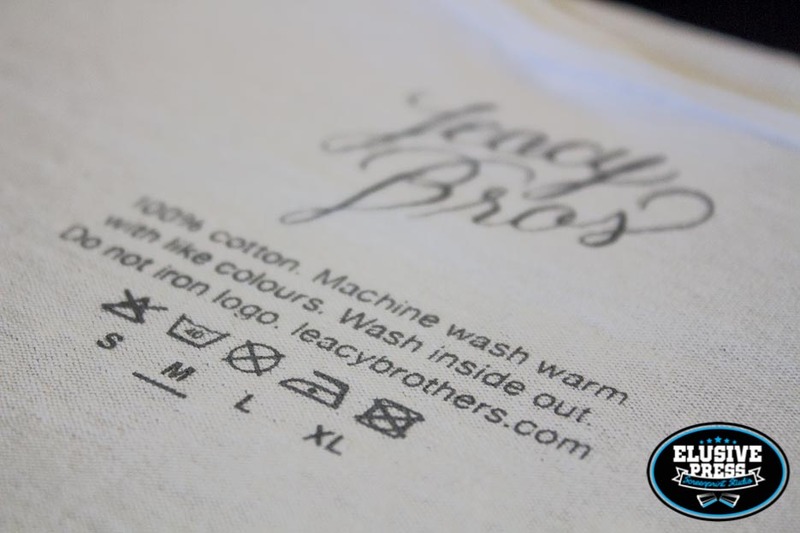 Change of Ink Colour: If you would like your design printed in different colour inks, we offer a colour change service. 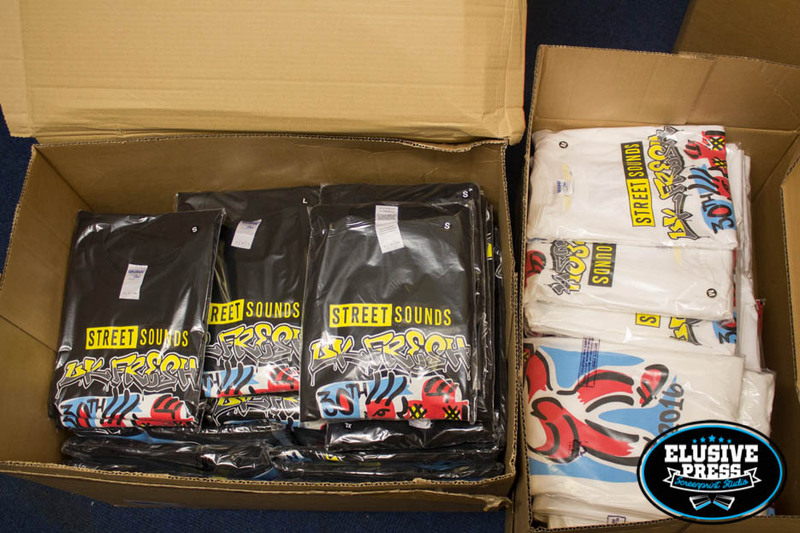 Postage and Delivery: We are able to deliver anywhere in the UK or Europe. Prices on request unless free where stated with a promotion. Prices for 1 Colour T-shirt Printing with free screen set. Prices for 2 Colour T-shirt Printing with free screen set up. 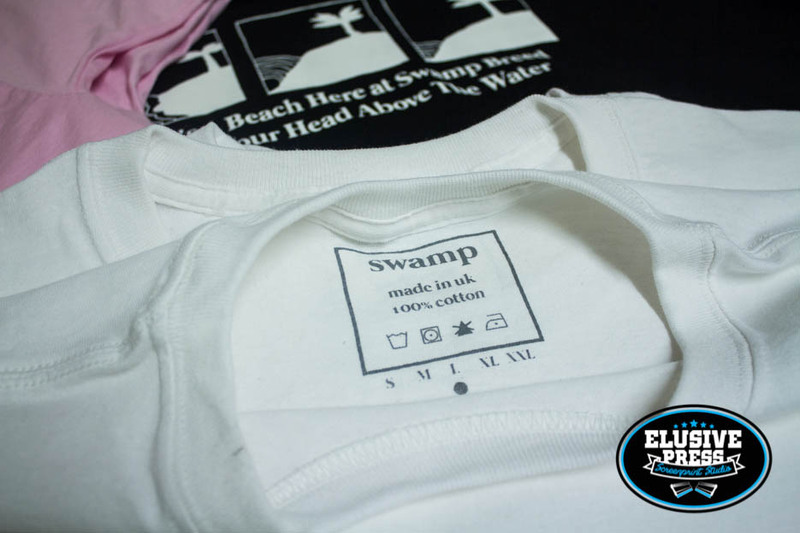 We offer your brand the chance to further personalise your garments with our folding, packaging and tagging service at a unit price of 50p. 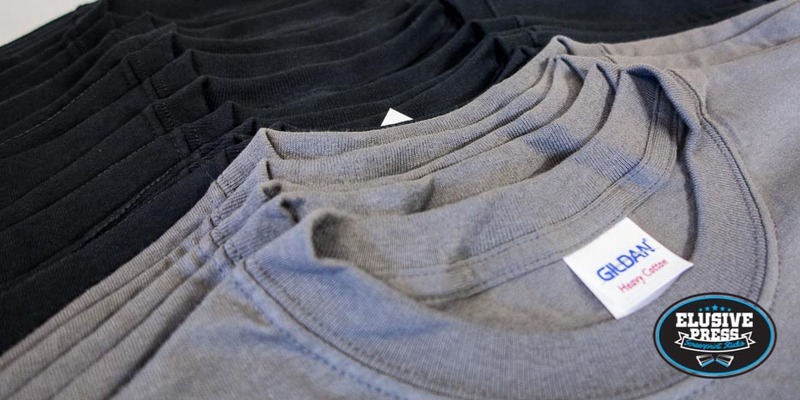 We can also remove the stock brand label from each garment and replace with a custom screen printed label on the inside of the neck for a unit price of £1.